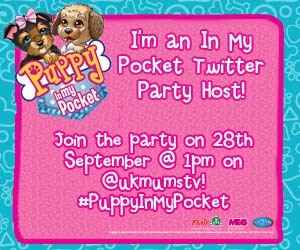 The girls are big Puppy in my Pocket fans so we are thrilled to announce that we will be co-hosting the upcoming UKMumsTV Puppy in my Pocket twitter party! We've been sent lots of goodies including everything we need to host a real life party, and you'll be able to join in by following the hashtag over on Twitter. Right now the girls are in their element as they have been sent the brand new Puppy Play Park and a Pretty Pet Palace to play with - plus we've been given party bags, crafts, games and prizes for our guests! 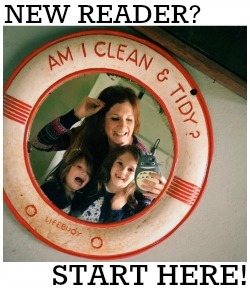 And you needn't go home empty handed either as @UKMumsTV have prizes for some of you! To join in the fun and games online, simply follow me and @UKMumsTV over on Twitter and use the #PuppyInMyPocket hashtag when you tweet, and you could win!